Apple released iOS 7 yesterday with a lot of press. Who would have thought a software download have become an event that people all over the world celebrate? Every year it never fails. At 1pm the productivity in my office fell through the floor as people scrambled to download the updates onto their phones or Macs to load onto their phones later; everyone super excited to see the new look and try out all the new features. While Apple has announced and talked about most of the new features for a few months now, one new feature I think is super awesome is barely being talked about, and there is a reason for that. 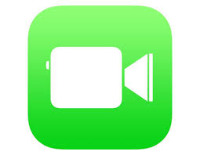 FaceTime, Apple's version of Skype which lets you video chat with another person with an Apple device was launched several years ago. I use it when I can but I don't see a ton of usage when I'm out and about; at least not like when I visited Europe where I saw tons of people using it. Who knows why. I do video conferencing for work and having a video call is still odd and almost uncomfortable for most people. I think it will get more popular over time and we'll see a lot more video calling in the next few years. But with iOS 7 Apple adds the ability to have a FaceTime audio call. And just like FaceTime video, its really easy to use. There's a dedicated FaceTime app but I usually just start in the phone app since it's on my home screen and has all my contacts. Either way, start by finding a contact you want to call (make sure it's a person with an Apple device or the call will fail) and tap on the name. If the other person has an Apple device with FaceTime enabled, their device will ring. Here's what it looks like on my iPad. Just like a phone call just slide to answer and you can start talking. You can easily change it to a video call by tapping the FaceTime button. There you go, it's at as simple as that to start a FaceTime audio call! Ok so why would you do this over a regular phone call you ask? Well the biggest thing is that when you do a FaceTime audio call you are not using your phone plan minutes. Read it again if you want but it's true. FaceTime audio uses wifi or your phones cell phone data connection to make a voice call. You can call people on their iPads, Macs, and iPod Touch. Due to bullet number one above, you can call people internationally for super cheap because you are only paying for the data you use. And data usage on an audio call is low. Also add the fact that you can do this from any wifi hotspot and then it really is free! This is all very similar to iMessage which basically does the same thing with texts. It sends the messages using data and goes around the cell providers who would normally charge a lot more for you to send a text. You can see why Apple hasn't hyped FaceTime audio up too much. Because they need companies like Verizon, AT&T, and others all over the world to support and sell the iPhone and this feature eats into those companies' profits. Apple has to play nice with the carriers and I am guessing they were outraged when this was first announced. Therefore I would bet that there is some deal in place where Apple has agreed not to promote it very much. But I don't care about all that. All I care about is that Apple has given us a way to save money and call people all over the world more easily than ever before. There are apps that do this but when the feature is built right into your contacts and is so easy how can you go wrong? Apple might not be talking about it but its there, it works well (in my testing), and it can save you money. The next time you call someone with an Apple device, why not make it FaceTime audio?